A supergiant star blasted 23.5 million years ago in one of the biggest and brightest close galaxies. After 23.5 million years, this spring we finally got the news. 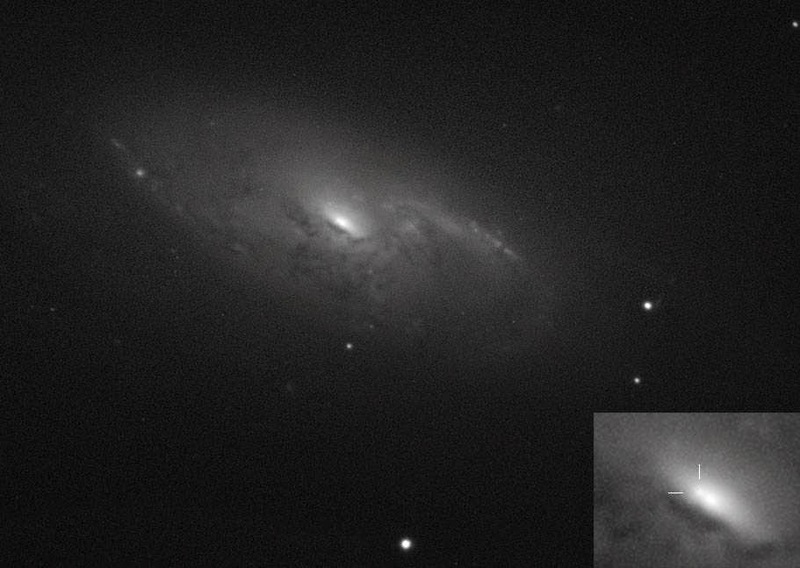 In April, the Katzman Automatic Imaging Telescope (KAIT) as portion of the Lick Observatory Supernova Search, snapped a pale "new star" near to the bright core of M106, a 9th magnitude galaxy in Canes Venatici the constellation of Canes Venatici, also known as Hunting Dogs. 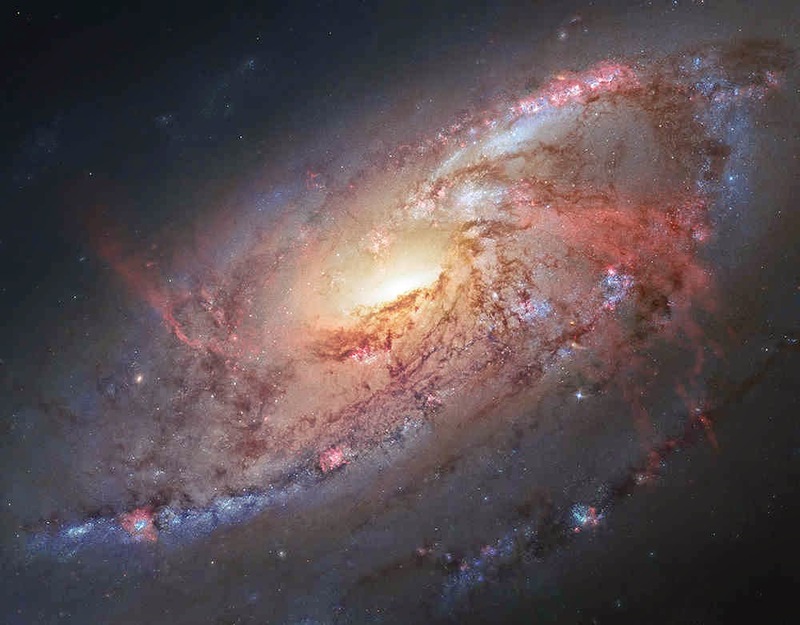 This Hubble Space Telescope image shows how spectacular M106 truly is. A revision of its light curvature showed a Type II supernova, the sign of a rare supergiant star termination its life in the most powerful and violent way possible. A usual supergiant star is 8 to 12 times more massive than our sun and burns at a considerably much hotter temperature, quickly using up its accessible fuel supply as it roasts lighter elements like hydrogen and helium into denser elements inside its core. Supergiant lifespans are calculated in the millions of years (10-100 million) matched to the frugal sun's 11 billion years. When silicon fuses to generate iron, a supergiant touches the end of the line, iron can't be fused or roasted into a new heavier element, and its interior "furnace" shuts down. Gravity takes over and the whole system breakdowns in upon itself. When the external layers reached the core, they crushed it into a solid ball of subatomic particles and send a great shock wave back towards the exterior that tears the star to pieces. A supernova is born. Newly-minted radioactive forms of elements like nickel and cobalt are produced by the terrific pressure and heat of the detonation. Their fast decay into stable forms emits energy that contributes to the supernova's light.